Bob Zimmerman’s memorial service will be held tomorrow, February 7, at 10:00 am. It will take place at the South Florida National Cemetery. 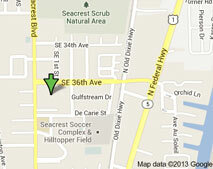 The address is: 6501 S. State Road 7 Lake Worth, FL 33449 All are invited as it is a public service. Continue to pray for the Zimmerman family during this time.